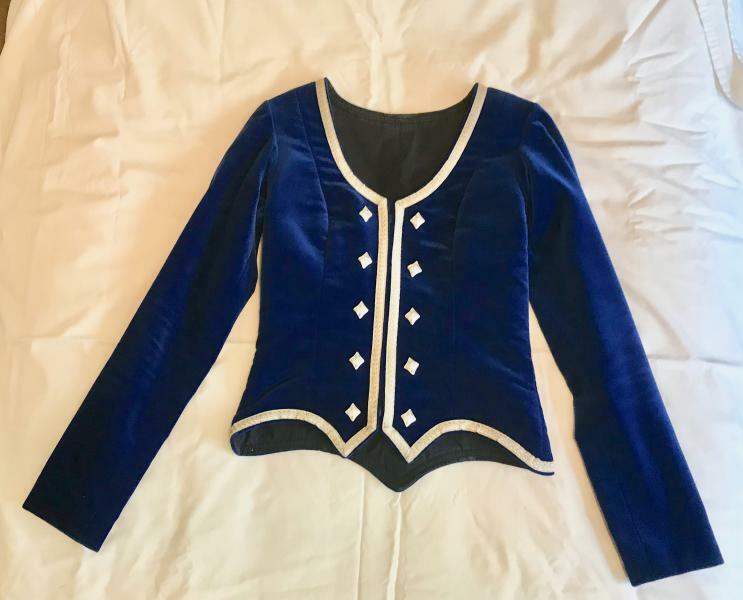 dance.net - Blue premier jacket, medium (10249508) - Read article: Ballet, Jazz, Modern, Hip Hop, Tap, Irish, Disco, Twirling, Cheer: Photos, Chat, Games, Jobs, Events! Jacket zips closed in the front. Excellent condition. Measurements below are taken according to the sizing chart sticky on the forum.